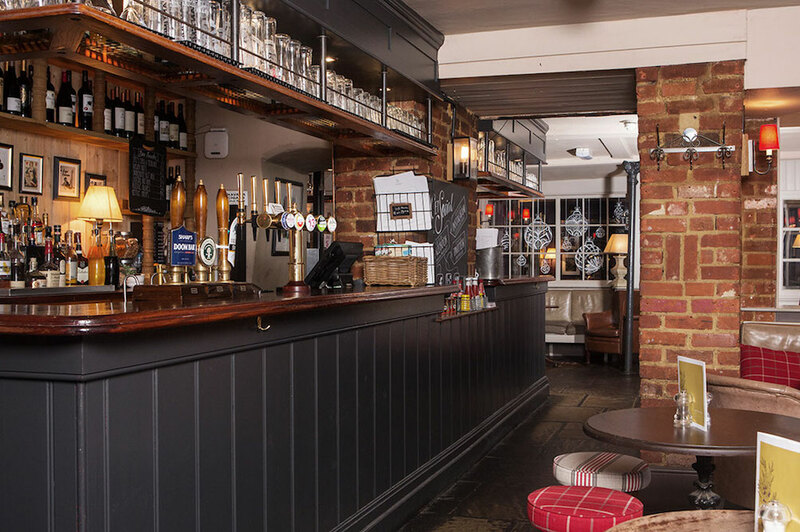 Just off Weybridge High Street, The Queen's Head is a friendly gastro pub with stylish touches. 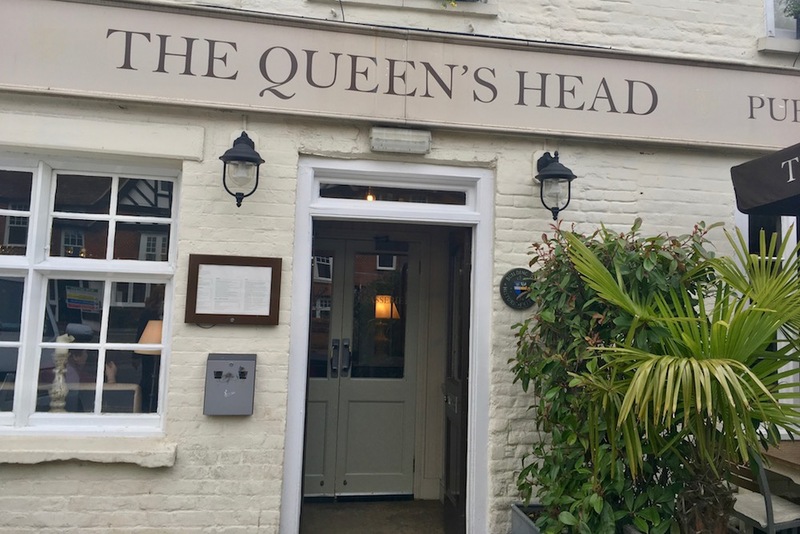 You’ll find The Queen’s Head the well-heeled town of Weybridge, at the southern end of the High Street. Parking can be an issue – there are about half a dozen spaces in front of the pub and a small amount of on-street parking nearby – but some has a 1 hour limit. Your best bet is probably to park in the Churchfield Road car park, just off the High Street, which is about a 10 min walk. Friendly, warm and welcoming. 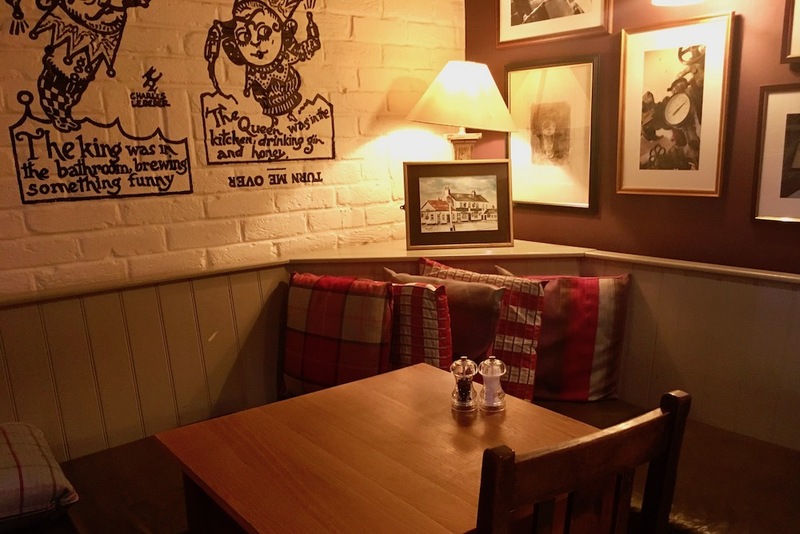 And it looks great too, with traditional touches like squashy chairs and log fires alongside bold colourings and stylish pictures on the walls. A former coach house in the 1700s, and later a courthouse, it was pleasantly busy on the Thursday lunchtime I called in for lunch. But I’m told the place get’s pretty busy (and buzzy) in the evenings and on a Sunday afternoon, so it’s best to book ahead if you want to be certain of a table. The pub is made up of several interconnecting rooms, including a large dining room with an open kitchen. There’s a small outdoor area out the front. The food here is hearty and unpretentious. 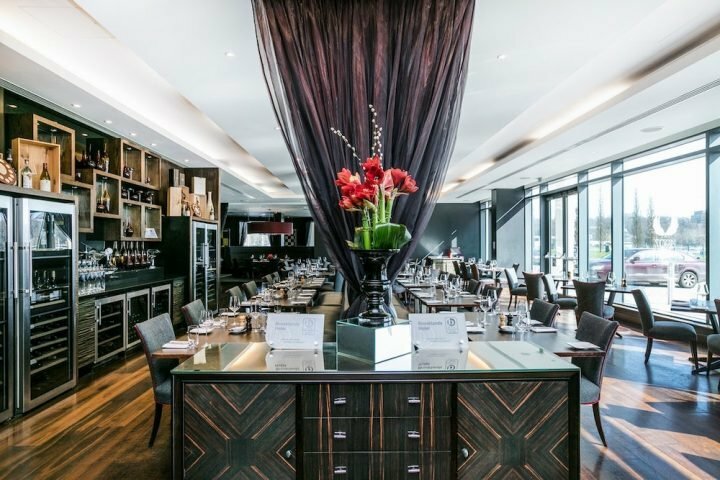 It’s part of Raymond Blanc’s The White Brasserie Company, and the menu is a pleasingly eclectic mix of French influenced pub classics – steamed mussels, slow-cooked Bœuf Bourguignon and steak frites – alongside the traditional British favourites – slowcooked roast suckling pig, pie of the week and gammon steak. 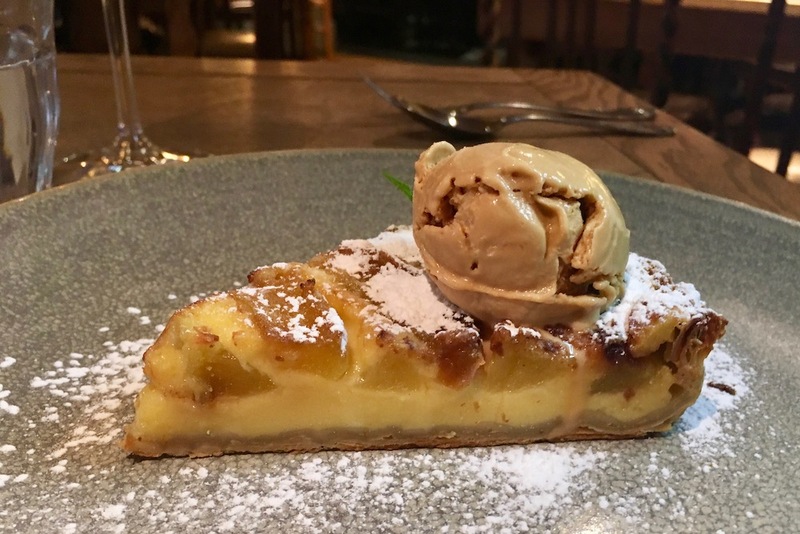 There are dedicated menus for children and juniors, as well as a well-priced set menu, available Mon until 6.30pm Sat, at £11.95 for two courses. So, shall we eat? 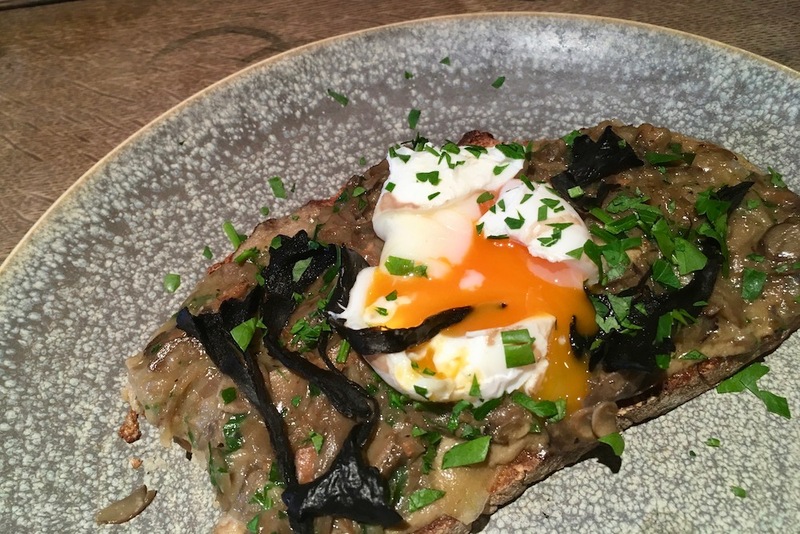 For starters, I went with the wild mushrooms and poached free-range egg on toasted sourdough, while my Aussie gal pal went for a healthier option of the winter salad with crispy beef. So far so good. Two happy girls. 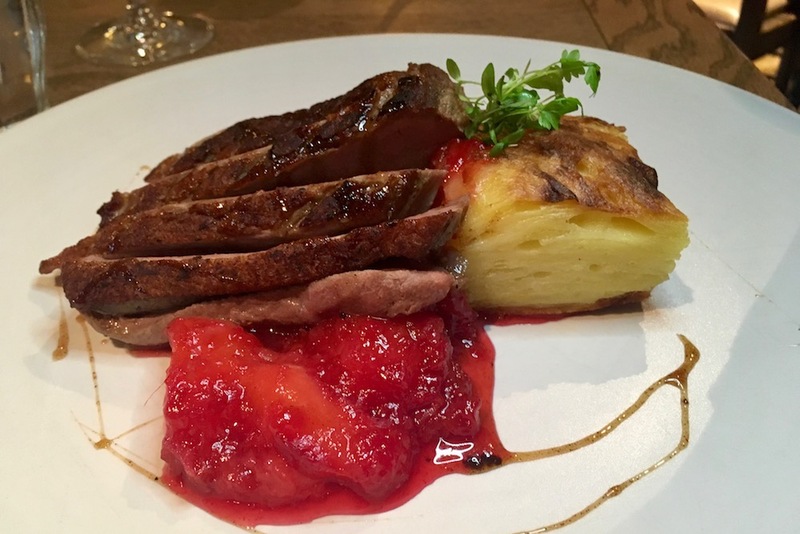 Moving on to mains, I was seduced by the moules in the white wine and shallot marinière while my friend chose the duck breast in a spiced plum and honey sauce with dauphinoise potatoes – which we washed down with a bottle of the house white. You can’t go far wrong with mussels, and these ones were very good, and my friend was impressed with her duck, which she said was well-cooked. She was particularly impressed with the fresh plums in the home-made plum sauce. 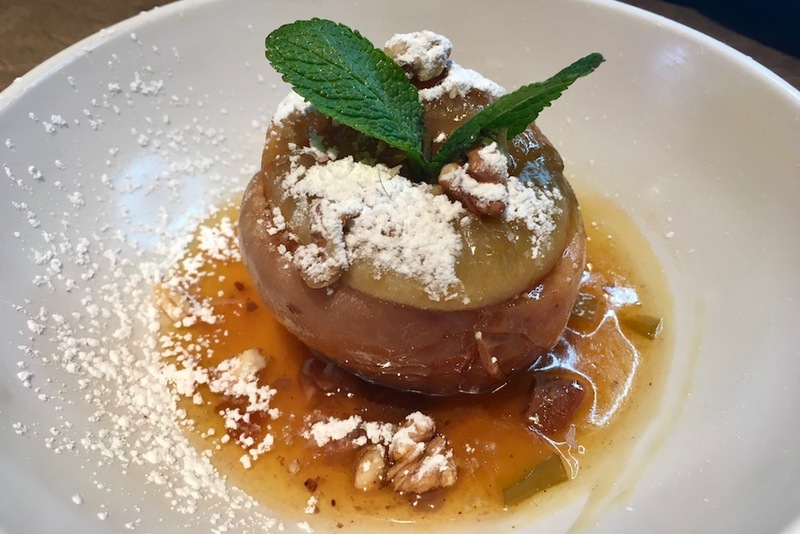 Not to be defeated after two courses, I had a go at the baked apple with sultanas, raisins, hazelnuts, walnuts and Calvados sauce while my friend went for the Normandy apple tart and salted caramel ice cream. Both were good choices, and our bowls were scraped clean. Says it all really. Yep – it certainly is. Dedicated menus for both small kids and big kids, as well as an app for kids called Henri le Worm, created by Raymond Blanc’s son Olivier Blanc and Charlotte Salt, and narrated by Simon Pegg. The app includes games and recipes for kids. Transport enthusiasts are well- catered for: Mercedes-Benz World, the London Bus Museum and Brooklands Museum all nearby. 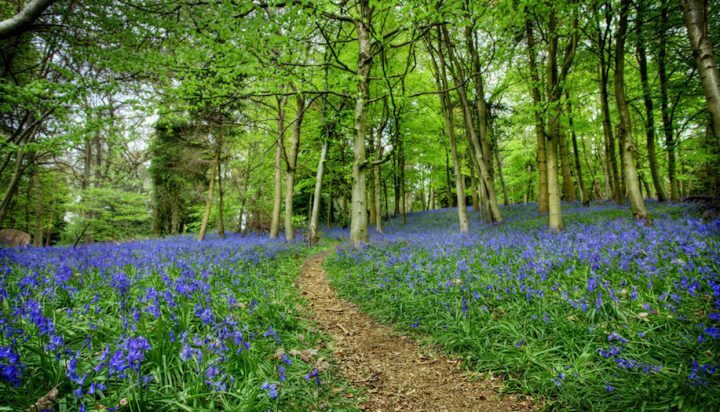 If you want to keep it truly local, why not take a walk along the canal or River Thames, or have a mooch in Weybridge’s smart boutiques and swanky interiors stores. Good for: Everyone really. 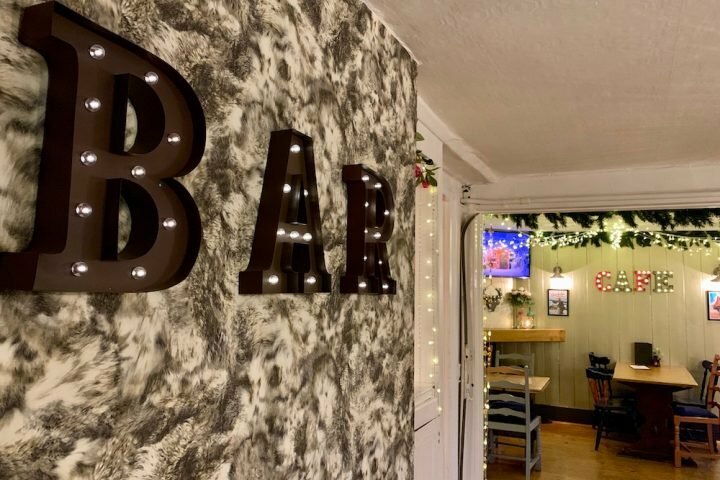 The food is fab, there are enough crowd-pleasers to suit little palates, the pub has a pleasing number of different areas and nooks and crannies. 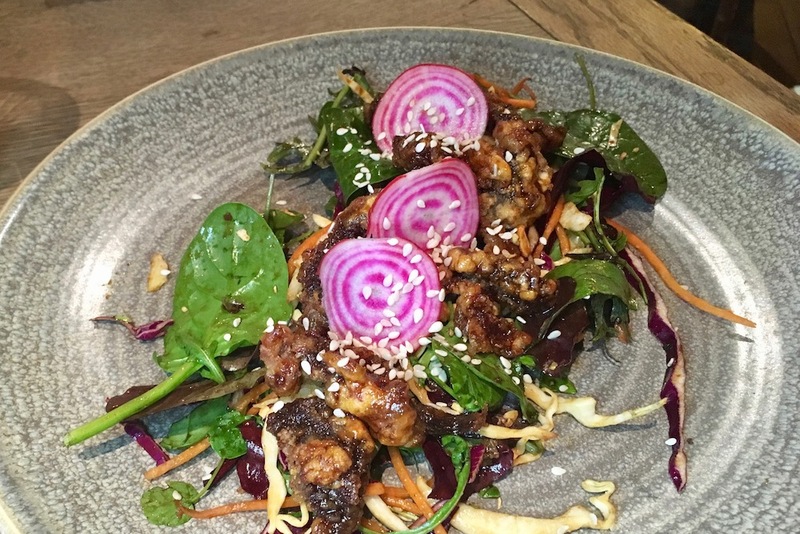 Those on a budget can nosh a set lunch or dinner of two courses for £11.95, or three courses for £15.45. Not for: Those looking for a big outside space, or a garden to fling the tantrumming toddlers into. You won’t find that here. The damage: Good value for the quality. 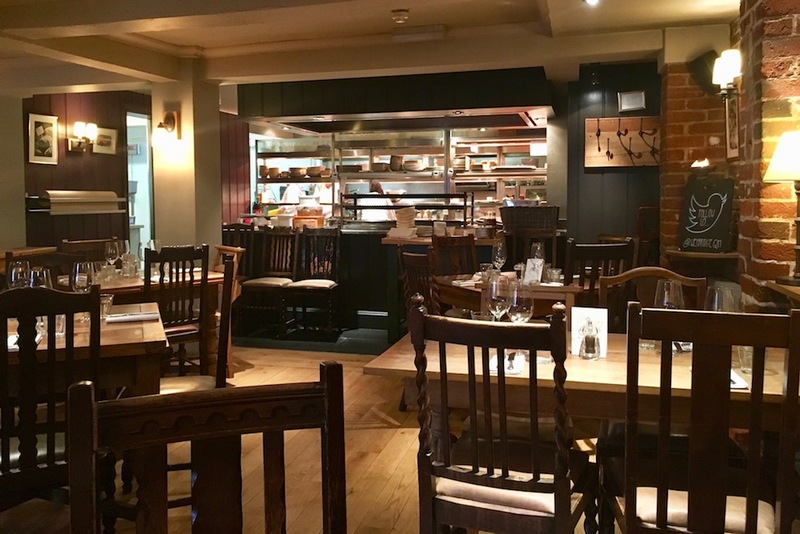 Starters are £6.95-£8.50 or £13.90 for the charcuterie for two; mains start at £12.50 for a ravioli going up to £58.50 for the deluxe coq au vin – a sharing dish for two. Sides are around the £3.50 mark and puds are from £5.25-£8.